Simon and Christopher were delightful hosts. Picked us up at the train station and were always happy and willing to answer questions and make suggestions for dinner or sights to see. The room was lovely, modern and clean and the all you can eat breakfast in the upscale coffee shop they run was wonderful. Location in Patershol, the old district of Ghent, was in walking distance to all the sights. Would highly recommend this 2 room B & B to all. Great location, extremely helpful and friendly hosts, delicious breakfast. Spotless and comfortable room. Everything we hoped for and more! All together a fantastic place for a city break, great value and we had a great time. Highly recommended. If you’re looking for a boutique stay with a personal touch, fab food and great location then don’t hesitate to stay here! The staff who seem to love working here, made it feel more like staying with family than staying at a typical B&B. This is the 1st place I’ll look to upon returning to Ghent (and maybe even worth the commute to Brussels) and I wouldn’t hesitate to recommend this to anyone. Best thing about it though is the hosts, Chris and Simon, who are great fun, really friendly and most importantly know everything there is to know about what’s happening in Gent. Would massively recommend to for friends, family trips, couple, everyone! Breakfast is taken in the charming café on the ground floor and cannot be faulted for atmosphere or the quality of the food. 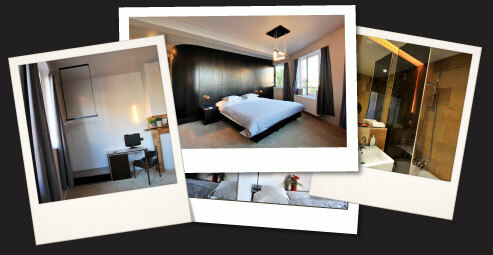 It is a shame all B & Bs are not as good as this one we would definitely stay again if in Ghent. Aarzel niet met ons contact op te nemen indien u nog vragen hebt.